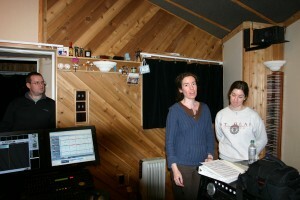 For the past few months DuoXXI has been recording tracks for a new CD of works for Cello and Violin. 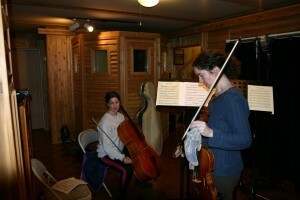 The duo consists of Mira Frisch, Cello and Anna Cromwell, Violin. 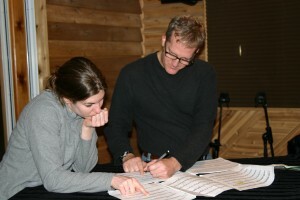 All of the compositions are new and several composers are contributing. 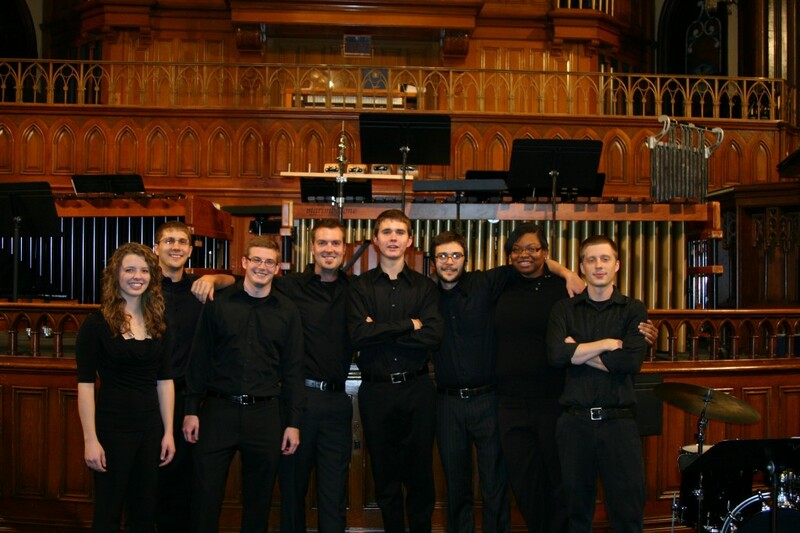 Composers include Ronald Parks (Winthrop University), Joseph Dangerfield (Coe College), David Maki (Northern Illinois University), Stephen Anderson (University of North Carolina at Chapel Hill) and John Allemeier (University of North Carolina at Charlotte). The Clips of Dark Dances were recorded at the studio. One of the really great things I get to do in the studio is to record a number of outstanding classical singers. These recordings range from full CD’s to audition tapes and demos. Many of these singers are highly trained and super talented so it is a real pleasure to capture this talent . Since even the largest room here at the studio (and most studios throughout the world) is not even close to creating a concert hall ambience we use the legendary Sony DRE-777 Sampling Reverb (no longer in production) to create the proper ambience. This unit uses samples from great halls all over the world to create an incredibly realistic sonic environment. Better yet-after the recording is done we can experiment with different halls and pick the perfect hall to compliment a singer’s voice. Here is a link to Pianist Katerina Souvorova’s Belcantanti Site. Scroll to the bottom and listen to the Tchaikovsky and Rachmaninoff songs which were recorded at the studio. 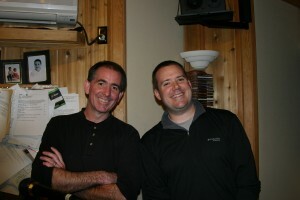 This CD is for listeners who can truly appreciate quality and who know seasoned professionals when they hear them play. 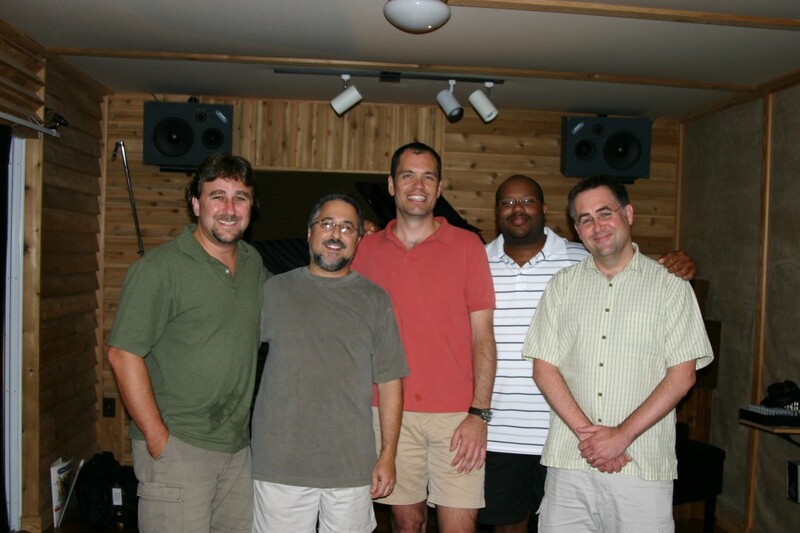 These days, many CDs are merely a collection of good musicians who get together to impress each other with how well they can play, but Will Campbell’s compositions and arrangements as well as his lyrical playing gives these excellent musicians a sense of clarity and direction. I enjoyed listening to every minute of this CD. This soulful, swinging CD has everything I look for: Finely crafted original music played with beautiful rapport and expert execution, which these days is all too rare. Enjoy. Will Campbell’s debut CD is a wonderful reflection in flowing forward with tradition and individuality. He is a beautifully melodic player with his own unique harmonic flow and sound on the alto. Click on the Link below to see the record label poster. Here are some upcoming concerts that I am involved with in the next few weeks that you may want to check out. November 27th-28th 8pm at the Blumenthal Center for the performing arts Concert with Steve Lippia one of the best Sinatra tribute singers around. With the Charlotte Symphony. 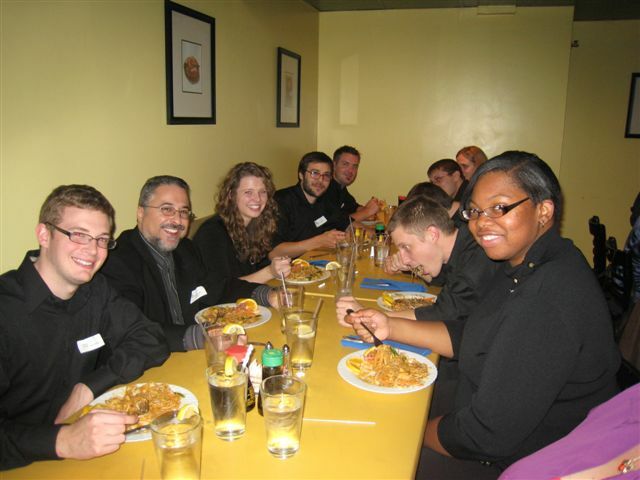 I will be playing Drum Set and Grammy winning arranger Victor Vanacore will be conducting. December 3rd -Dec 6th at the Blumenthal performing arts center -Charlotte Symphony Magic of Xmas show. 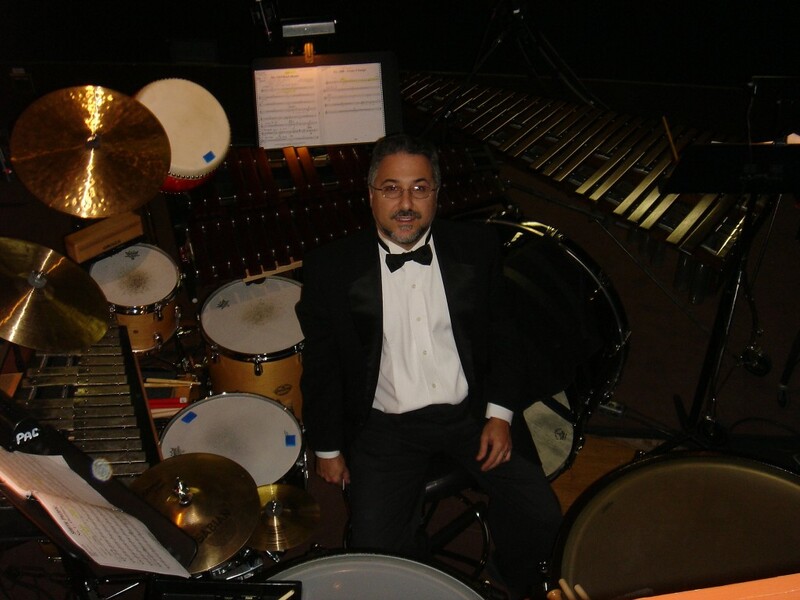 I will be performing with Noel Friedline (drum set) and also with the Symphony (percussion).See www.Charlotte symphony.org for show times. 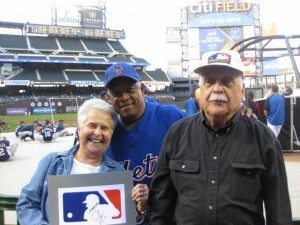 It happened last month but this is the first chance I have had to write about it: Finally after 40 years Major League baseball recognized my father Jerry Dior for designing the Major League baseball logo in 1968. For years I would tell friends this only to be met by barely disguised skepticism. After all-If he designed that shouldn’t you be rich and if so why are you on this crappy gig!!! This process took about 10 years so I’m really glad it has come to fruition. Personally I never thought MLB would do anything since a). They did not have to and b). They could open themselves up to financial issues. But the fact is that my dad never wanted any kind of financial restitution whatsoever. He just wanted to be recognized for the thing that he is most proud of in his graphic design career. Most logos undergo many changes over their useful lifetimes but this one is completely unchanged in 40 years and it’s everywhere you look. I think he is very proud of that fact alone. One thing that really bugged me is that a comic book artist named James Sherman has said he designed it for many years now but that obviously was not the case. You can also search on the web for this – it’s a very interesting story which should invoke in you a mixture of laughter and disgust. 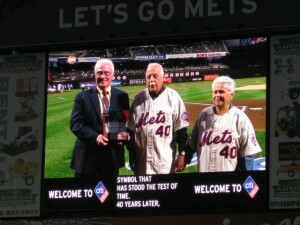 Anyway, as a result of the acknowledgement MLB honored my father at both Yankee Stadium and Citi field (the Mets home) in September. 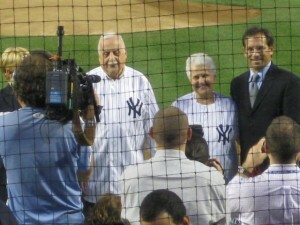 I went to the ceremony at Yankee stadium and it was truly awesome. 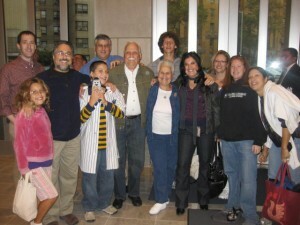 I have attached some pictures at the end of this post. If this story teaches us anything it teaches us that perseverance pays off (my mom worked on this tirelessly for several years) and that large corporations-MLB in this case, are sometimes really capable of doing the right thing even if it takes a very long time. There is tons of stuff on line about this story and if you are interested you can do a search on google for Jerry Dior MLB logo. I just finished a run of the musical South Pacific at the Blumenthal Performing Arts Center here in Charlotte. This was the touring version of the Lincoln Center revival that opened in 2008. It’s a great show that has really held up over time. I had forgotten how much great music (Rogers and Hammerstein) came from that show and the orchestrations (Robert Russell Bennett) are fantastic. The show was somewhat unusual in that it was completely acoustic. No synths at all which is all but unheard of in modern times but was obviously the norm in the 1940’s-1960’s. The pit contained a large complement of strings winds and brass which in most other touring shows are somewhat covered or enhanced by several keyboard synth players. As a result the pit was very quiet sonically and I felt as if I were playing an orchestral gig. 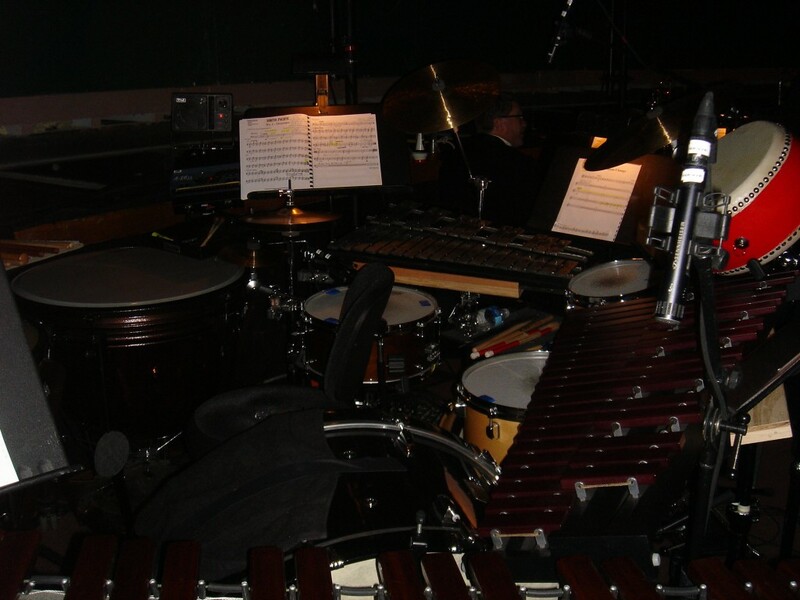 As with most shows I do I had to devise a custom setup since you have to play the mallet instruments and timpani within or in close proximity to the drum set parts. 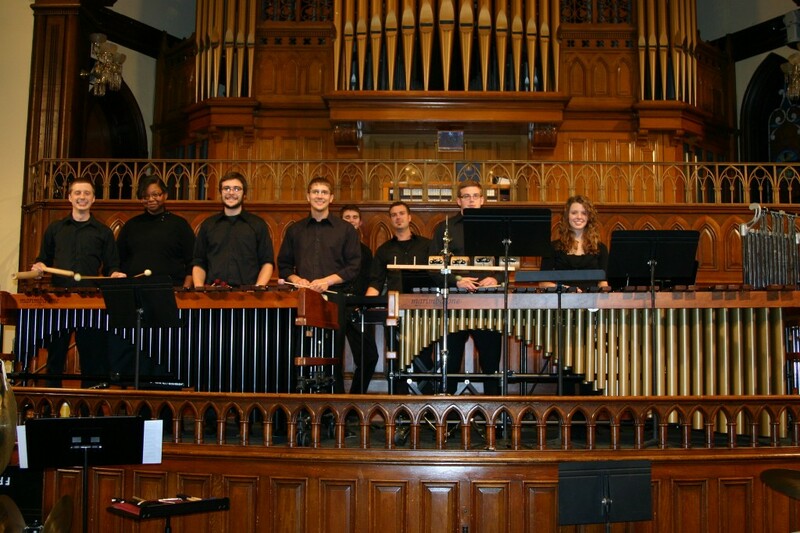 Not shown in the picture are a set of vibes and a marimba which are used very sparingly in the show. 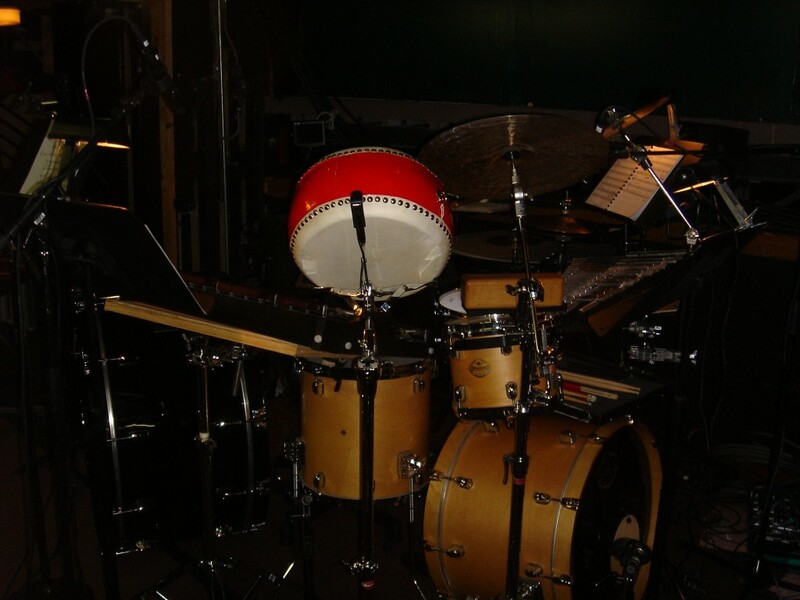 For more show info see “a tale of two shows” at my percussion site. This article discusses how to deal with and create complex setups. Next show coming up is Wicked which I will be playing for a month starting in late May. I will post extensively on this show since it is a real challenge and the setup is huge!